Outspoken comedians tend to be most appreciated who feel no hesitation to speak their mind through quality contents in their comedic presentation. 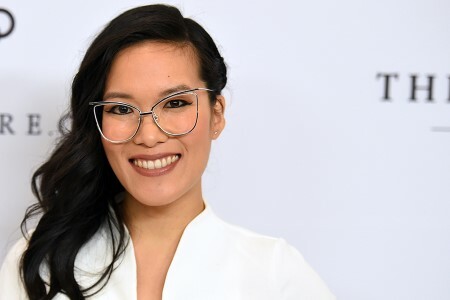 Ali Wong has certainly managed to wow the audience with her twisted sense of humor. Wong is a rising star in the stand-up comedy world. Her professional career is on a growing trend for the past few years, but how is her personal life? In today's section, we'll talk about the family life this gorgeous comedian shares with her spouse and two kids. Ali Wong's Married Life With Husband Justin Hakuta; Are They Still Together? Ali Wong is married to her entrepreneur husband Justin Hakuta. The couple tied the knot on 27th November 2014. Justin is the vice president of a multimillion tech company called GoodRx. The couple shares two children. They welcomed their first daughter named Mari Hakuta who was born in November 2015. They named her after Justin's idol, Mari Kondo, the author of The Life-Changing Magic of Tidying Up: The Japanese Art of Decluttering and Organizing. Prior to giving birth to her first child, Ali featured on Netflix with a baby bump in August 2016. In fact, she was seven and a half months pregnant when she filmed Baby Cobra, her first comedy special. Two years later, the lovebirds' second baby girl was born in December 2017. Her name, however, is yet to be revealed. "I knew that he was a catch so I was like, “All right, Ali, you gotta make this dude believe that your body is a secret garden…When really it’s a public park…that has hosted many reggae fests and has even accidentally let…two homeless people inside. I thought they were hipsters." The comedian invited her future husband to her show and soon after they carried affection for each other. And as we know, the subsequent dates eventually led to them embracing each other as life partners! "Marriage is a priority over the material. I can always make new jokes, but I can't marry another man. I don't want to." Ali is pretty active on social media. She often posts pictures of her husband and kids. The family of four is living blissfully in Los Angeles, California. The lovely couple celebrated their four years of marriage anniversary on 27th November 2018 sharing an amazing post via Instagram. May the two cross miles and miles ahead. 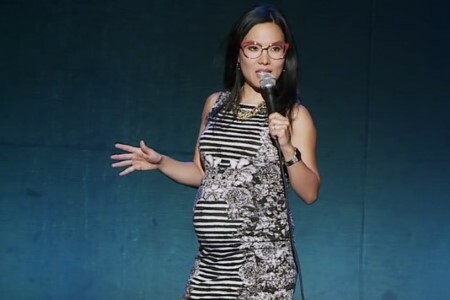 Ali Wong rose to her biggest fame thanks to her Netflix special Baby Cobra which was released in 2016. She possesses the impressive ability to turn the supposed weaknesses of women into a strength through her comedy. During Baby Cobra, Ali instantly impressed the audience performing on the stage as a pregnant woman making mischevious jokes about pregnancy, miscarriage, and motherhood. "My mom, she’s from a Third World country, and when I told her I had one (miscarriage) she was, like, ‘Uh, yeah, where I’m from that’s like losing a pair of shoes." Moreover, women are often the victims of condescending remarks about how their career goes downhill once they are pregnant - Wong spoke at great length proving it to be false through her comedy. Discover: Comedian Billy Gardell married wife Patty Gardell in 2001. See their family relationship. In her Nextflix special, Ali also spoke about the double standards of parenting. She believes fathers get away so quickly despite doing little while mothers don't receive enough appreciation despite doing so much. This fearless lady on the mic is certainly unfazed by what people might think. She speaks her mind through her sublime comedy. Although some are not particularly fond of her contents, the majority of her fans certainly love this gorgeous comedian. Born on 19th April 1982 in San Francisco, California. Her parents are Adolphus Wong and Tam Wong. Her father is an American-born citizen whose ancestors are from China. She went to San Francisco University High School and graduated in 2000. She was student body class president in her high school days. She graduated from UCLA majoring in Asian-American studies. During her UCLA days, she loved performing as a member of the university's LCC Theatre Company. During her junior year, she spent time in Hanoi, Vietnam. She was a series regular in Are You There, Chelsea? and Black Box. She had joined the reboot of VH1's Best Week Ever. She starred in the ABC series American Housewife. In 2011, she was named as one of the "10 Comics to Watch" by Variety. She was a recurring guest character on the Comedy Central sketch comedy series starring Amy Schumer titled Inside Amy Schumer.